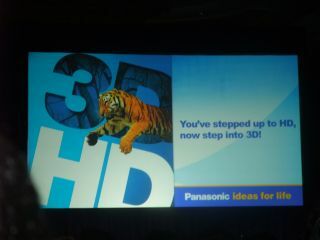 Panasonic has announced that its 3D labs at the Panasonic Hollywood Laboratory in California has opened for business. Announced in January at this year's CES, the laboratory has been created so that Panasonic can push research and development of its 3D Full HD (snappily shrunk to 3D FHD) format. To prove that it is serious about the format, Panasonic has installed some pretty impressive bits of kit into its lab – TV-wise, there's a 380-inch screen going up. As for the 3D FHD products that Panasonic are creating, they include a 3D plasma display (a 103-inch one was shown off at CES), a 3D-ready digital projector and a 3D-ready MPEG4 decoder. Speaking recently about the 3D FHD lab, Managing Director Eisuke Tsuyuzaki said: "Panasonic recognises that for 3D FHD to succeed, just like Blu-ray, collaboration on research, development and production with studios and content providers is absolutely essential. "The creation of the new PHL Authoring Center will enable Hollywood to start trial production and ultimately create commercially available 3D FHD titles to realise a new window into reality, and elevate the level of high definition entertainment that consumers can enjoy in their own homes."